The construction of the new passenger port is planned on the territory of the economic area "Zavidovo". The developers conclude that with the completion of this project, country would receive a valuable asset, which would unload the Moscow's North River Terminal, and, most important, it would allow increasing the inbound and domestic cruise tourism in Russia. The new port would allow tourists to depart on a cruise starting from the "open water". Currently, the river transport route from the North River Terminal goes through 128 kilometers long Moscow channel, where it can stay for a day or longer. 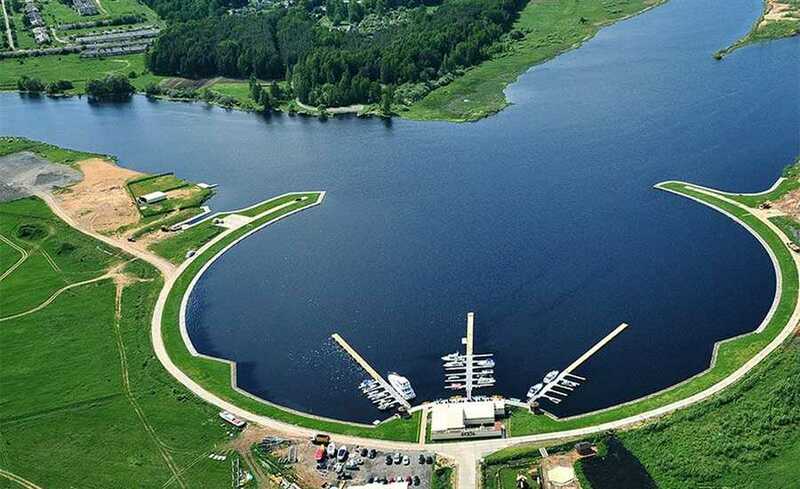 The port of Zavidovo will be located at the entry of the river Shosha at the water reservoir Ivankovskoe. The berthing facilities would include piers, refueling stations, the river terminal building. Zavidovo port can become the starting point as for long-distance cruises down the Volga river to Astrahan, or up to St. Petersburg, so for a short-distance cruise from the Ivankovskoe water reservoir to the Ribinskiy water reservoir, or from Tver to Yaroslavl or other similar routes. In the close proximity of the future port, there is a well-developed tourism infrastructure, the accommodation facilities, and tourist attractions. The developers of the port would like to revive the popular combined touristic routes, when tourists would arrive in Zavidovo with an alternative transportation, recreate and then go on board the cruise ship. The travelers would be able to visit such places as Vesyegonsk, Kalyazin, Kimry, Tver, "Konakovo Riviera" and, of course, the resort "Zavidovo".